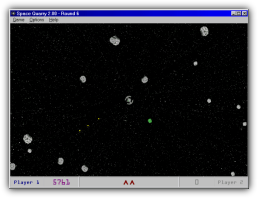 Space Quarry ™ is a free asteroid blaster arcade game. 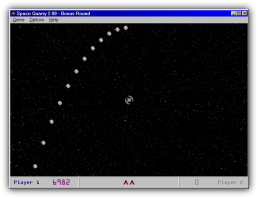 Spin your space ship around and fire at the incoming space rocks from all directions. 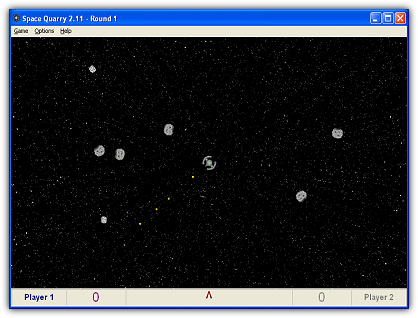 Each new round brings more rocks at a faster pace. Score extra points in the bonus rounds. A high score list keeps track of your best 10 missions. The download includes an installation routine that will place all the program files into a directory of your choice and will add the appropriate shortcut icons to your start menu. No device drivers or other runtime modules will be modified or added to your system directories. No adware, spyware or any third-party programs will be installed on your computer. You may remove the program at any time with the built-in uninstall routine. Exe format (sq95.exe, 684 KB). Download and run to start the installation.